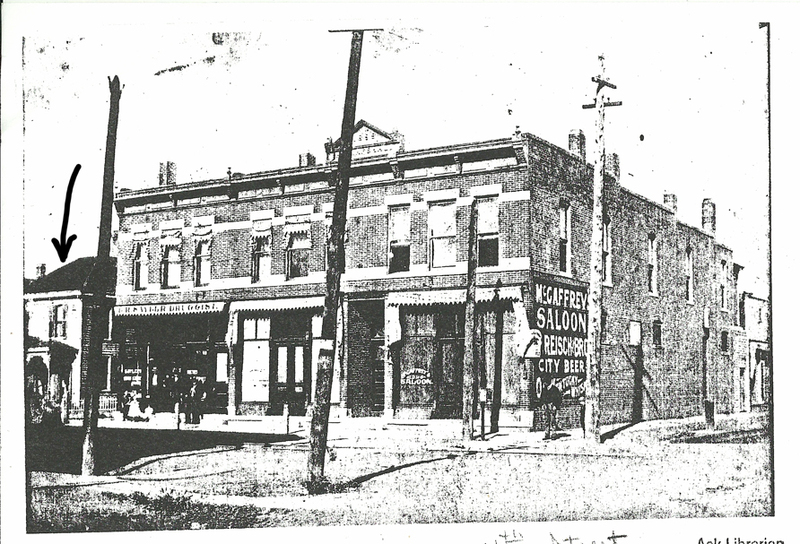 1899 – The Building that now houses Skank Skates is built (photo taken in 1902, shown as “McGaffrey’s Saloon). You can see a house in place of where Black Sheep is now. Black Sheep was built at some point between this date and the 1940’s. The building that became Dumb Records contains nails that were not manufactured past 1890, so that building may have been built earlier. 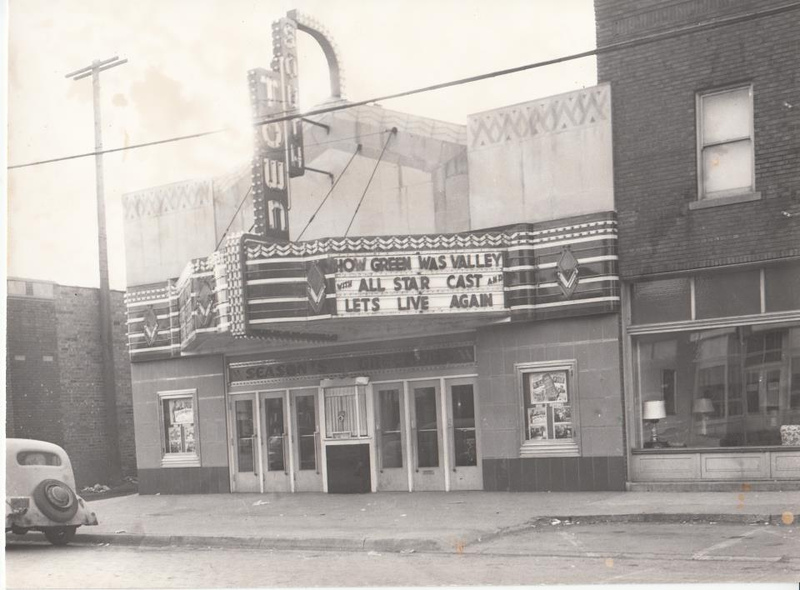 1949 – The Southtown Theater is shown in operation, active in the early to mid 1900’s. At one point the cost of seeing a movie there was just five cents. Madison’s Furniture had already begun next door, started around 1935 and remains in operation today. The front facade of the theater was redone by the city in 2008. 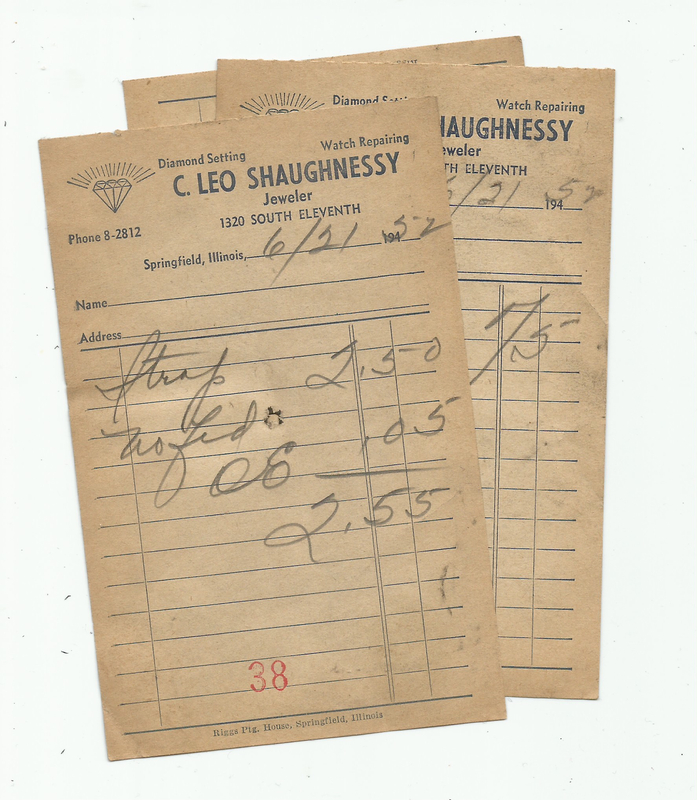 June 21, 1952 – Boxes of old receipts from “C. Leo Shaughnessy Jewler and Watch Repair” were found inside Black Sheep during the Revolution Autumn Black Sheep clean-up in 2012 (dating back to 1952). The building was a jewelry store from the 1940’s and possibly earlier up until 1990. 1967 – C. Leo Schaughnessy Jewler shown in the building that is now Black Sheep. The earliest photo of the building that we have been able to find so far. 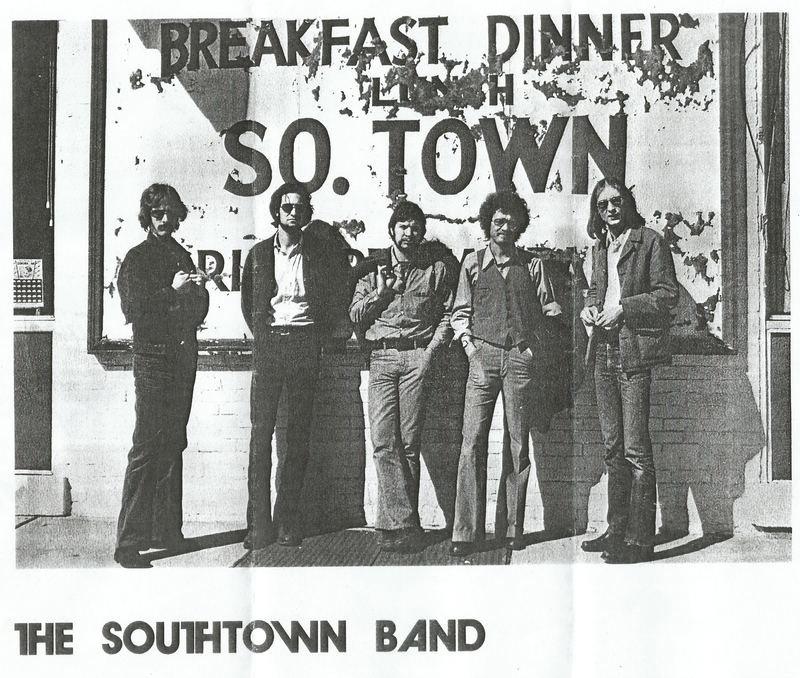 November, 1975 – This photo of “The Southtown Band” is taken in front of the old Southtown Diner, which is the building that would later house Skank Skates. 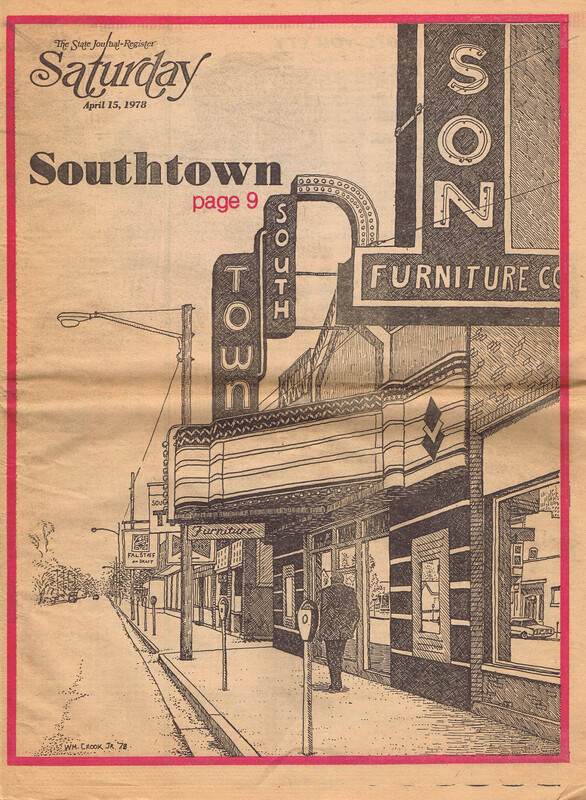 The Southtown Band was active from 1973-1976 and was rumored to practice in the Southtown neighborhood. 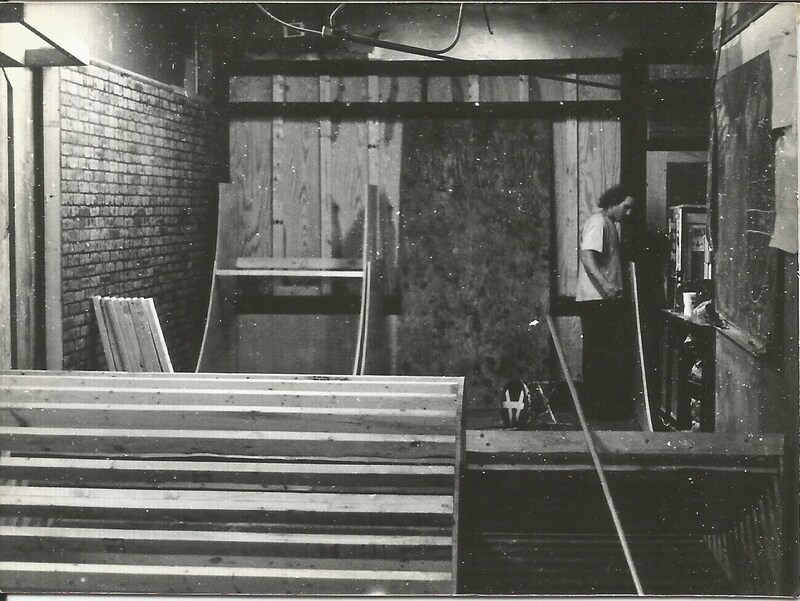 November, 1988 – George Sinclair gets the keys to Skank Skates (1101 South Grand Ave East) and construction begins for the ramp. 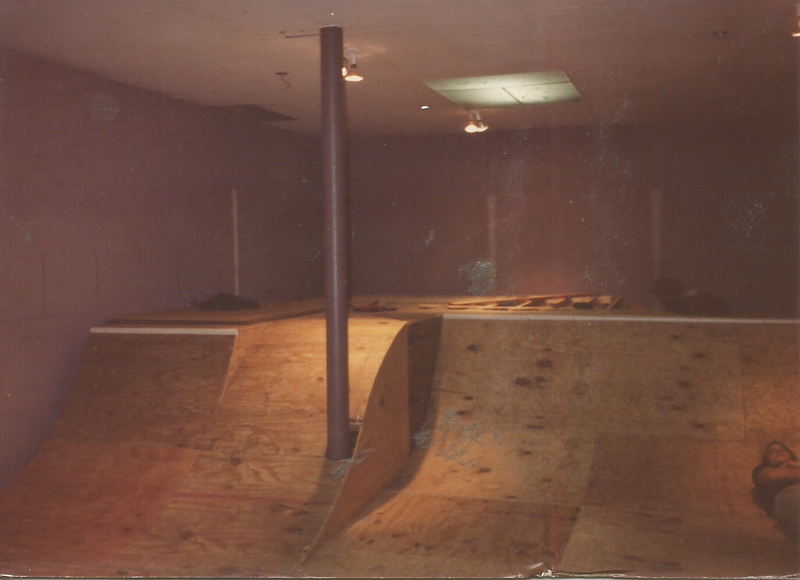 Pictured is the original ramp, which is still there to this day. The ramp opened up December 15th, 1988. 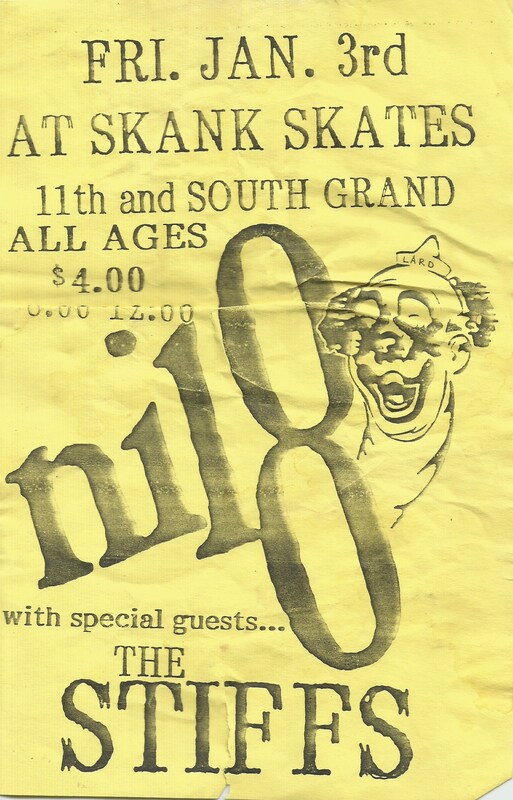 January 3rd, 1992 – NIL8 plays one of their first shows on the ramp of Skanks to a crowd of hundreds of people along with the Stiffs. 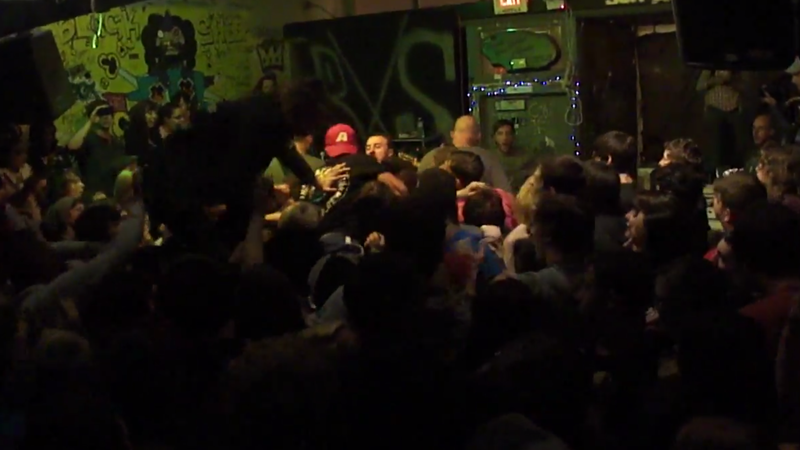 Also possibly the biggest show that had been held inside of Skanks. 1992 – Construction of the bowl at Skank Skates begins and is done by the end of the year. The bowl, bump, and high wall is built. Tony Hawk comes and skates the ramp in 1992 after construction is completed. 2004 – George buys the building that eventually turned into The Black Sheep. The building had been a jewelry store for many decades (1920’s? 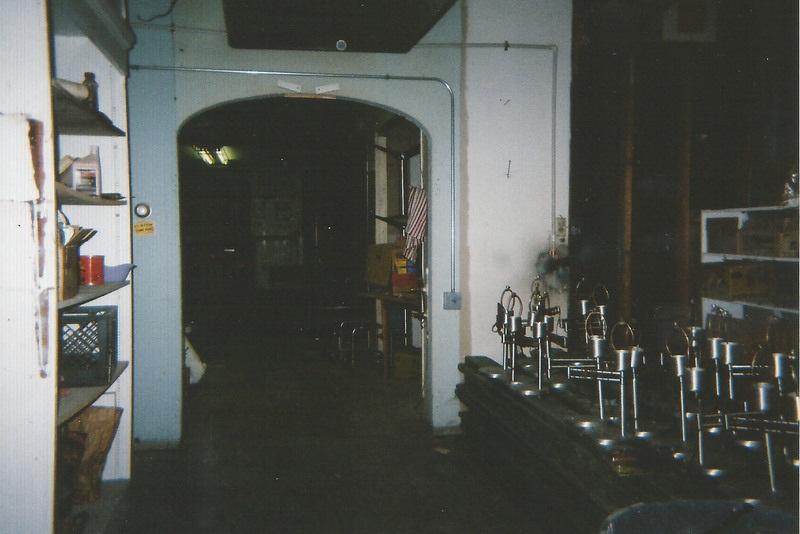 – 1990), then was “Butch’s Frame Shop” for a couple years in the early 1990’s, and then was just used for storage. 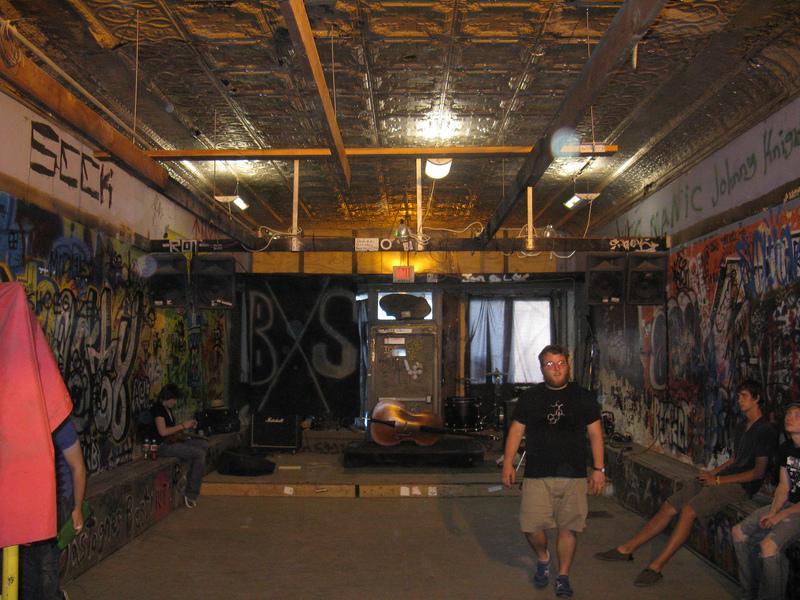 August 19th, 2005 – Kevin’s old band Solemn Vow plays at Skank Skates and discusses with Skanks owner George Sinclair the possibility of starting up a music venue in the space next door. George takes them next door to show them the space and the ball gets rolling from there. 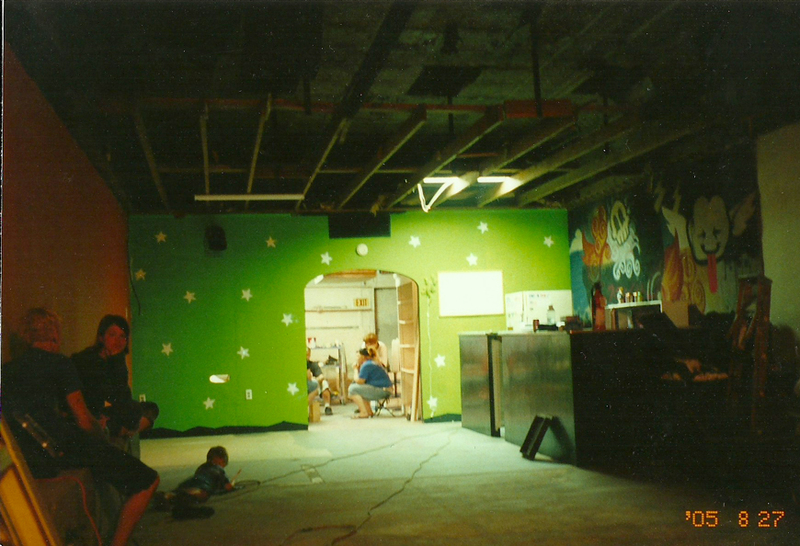 August 27, 2005 – There is a month of clean-up and the venue gets ready to open under four co-owners Kevin, Roger, Marty, and Crystal. By the end of the first year all co-owners back out except for Kevin. A month prior to the opening is spent getting the space ready and construction continues well into the rest of the year. 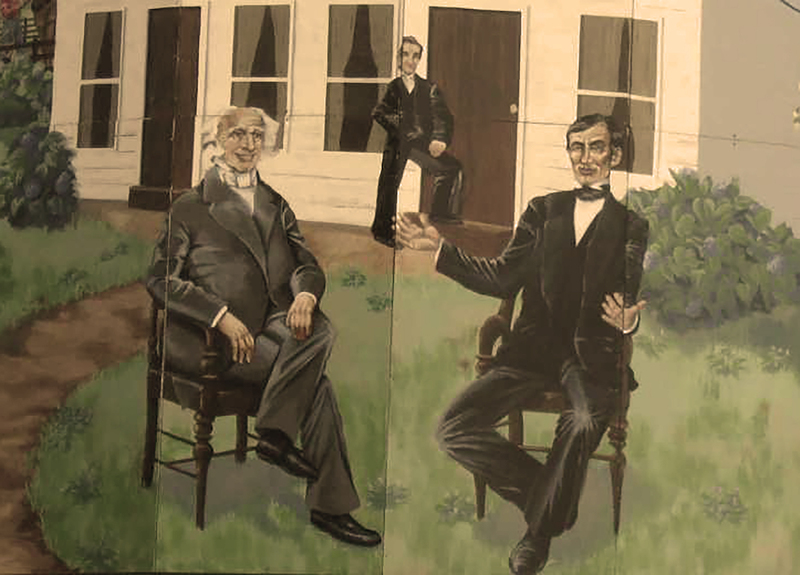 September, 2005 – Melanie Edmondson paints shepherd mural inside of Black Sheep. Kevin says the mural was never finished. 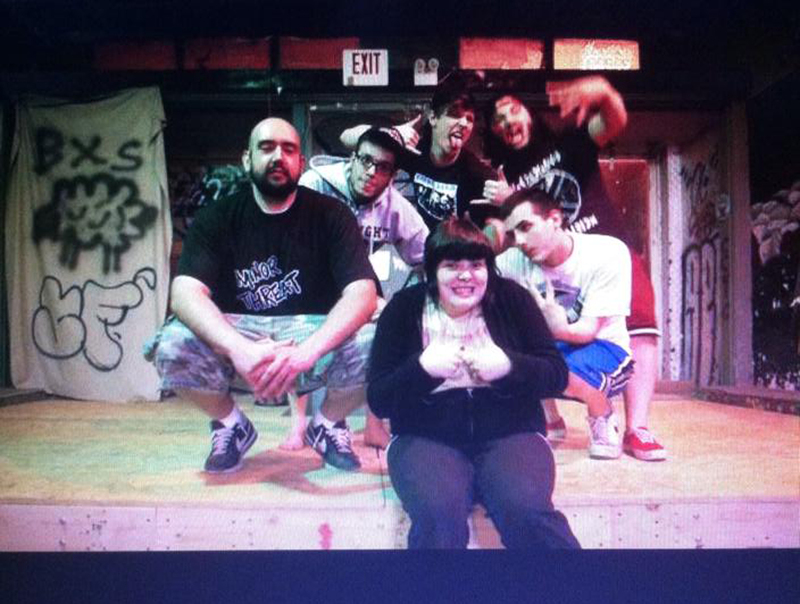 September 17th, 2005: The first ever Black Sheep show is held. A total of ten bands play from around the area (from what we understand the schedule on the flier was not really followed), the show is a benefit for the Black Sheep. 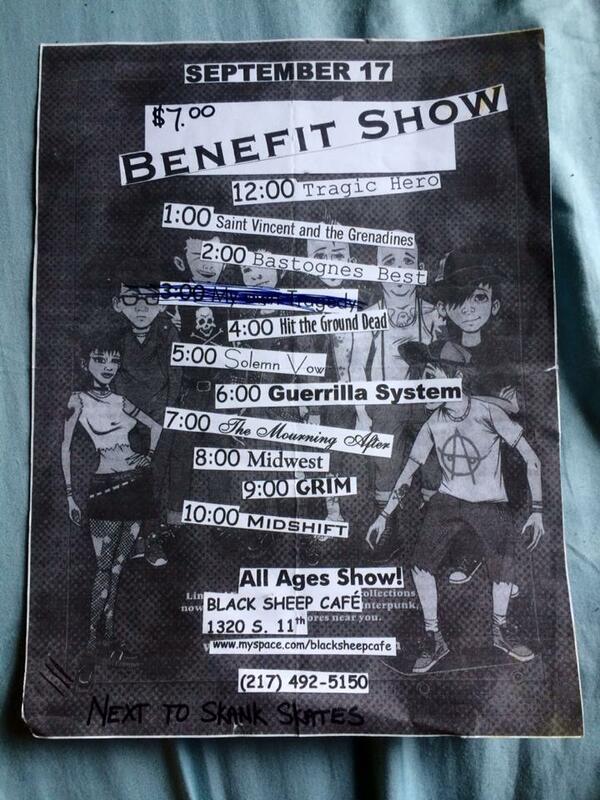 October 1st, 2005 – Black Sheep hosts its second show ever and first show that is not a benefit show. 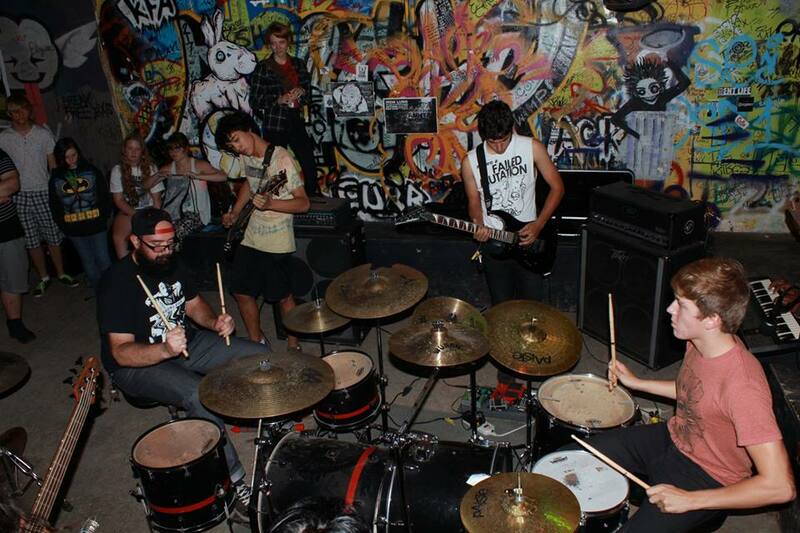 The show was set up for two touring bands- Seventh Star from Florida and xLooking Forwardx from Maryland. 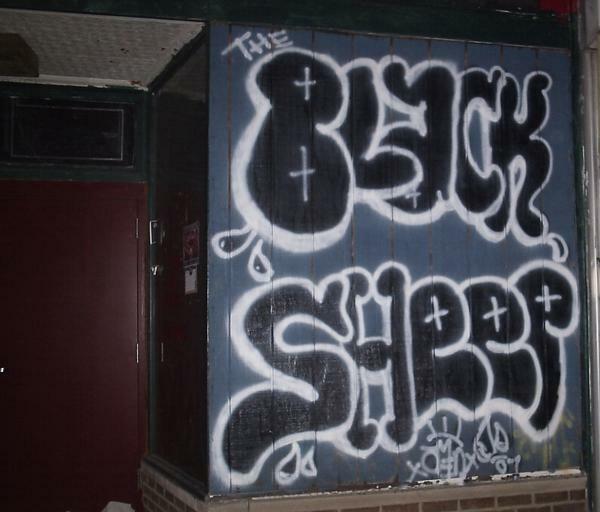 December 20th, 2005 – The City makes Black Sheep shut down temporarily so that repairs can be made to the building and get it up to code. Two shows (this being the first) are moved to other venue “The Warehouse.” (Also Brian Galecki’s first Black Sheep show). 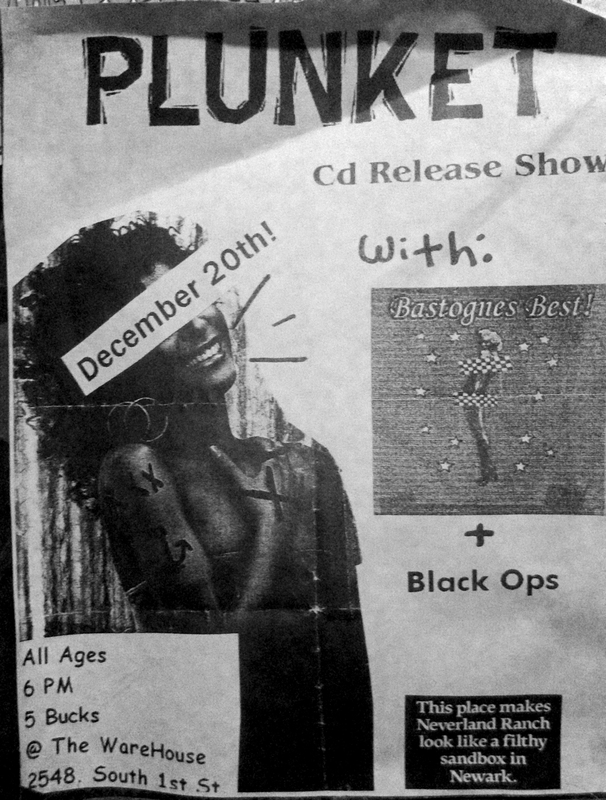 A few shows were also held at Skank Skates until Black Sheep could re-open mid January 2006. 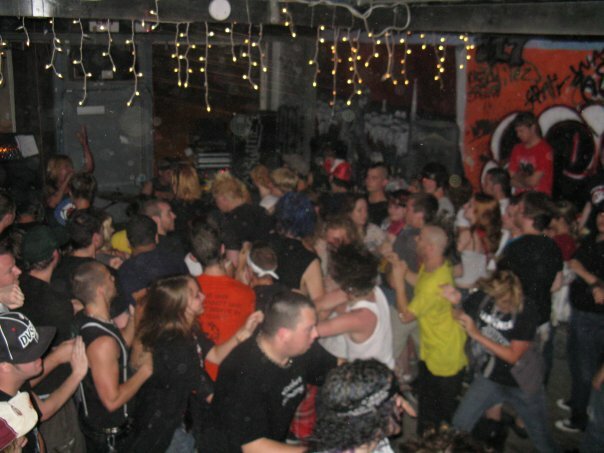 March 12th, 2006 – Over 100 show-goers are sent next door to the pitch dark Skank Skates basement in an era before iphones and flashlights during a show at Black Sheep due to tornadoes tearing through town. 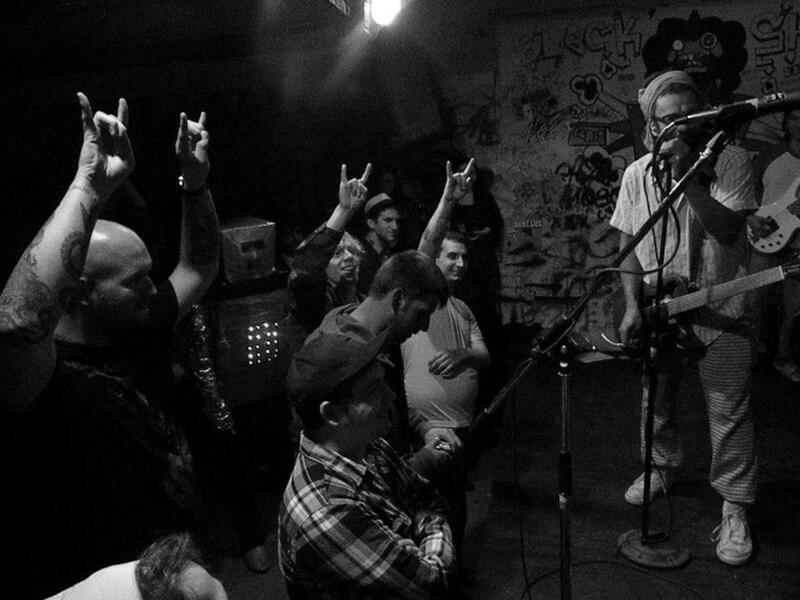 The band Tub Ring performed an acoustic set in the dark in the basement of Skanks while everyone waited close to an hour for the tornadoes to clear. 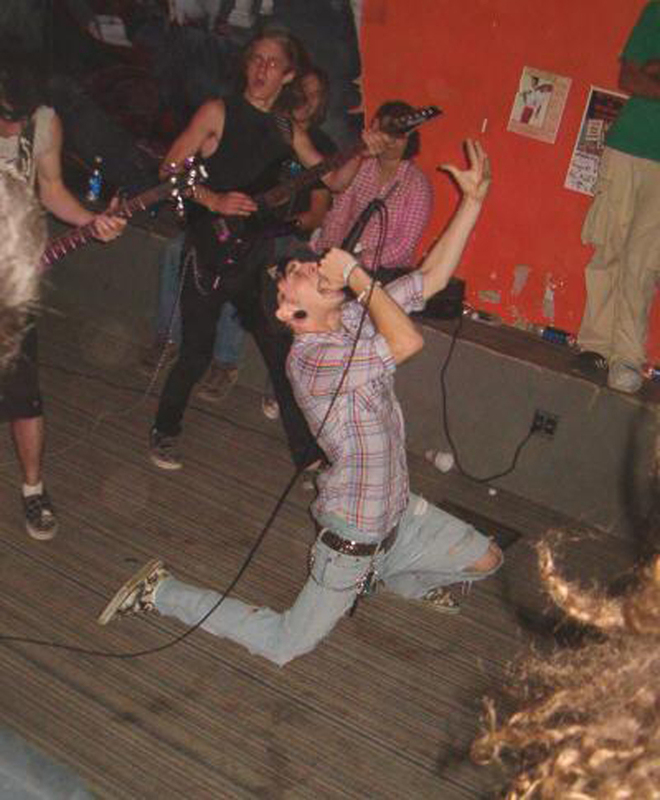 July, 2006 – Local metalcore band Behind These Dying Eyes play for the first time at Black Sheep and the local metalcore scene takes off from there for the next 4-5 years. 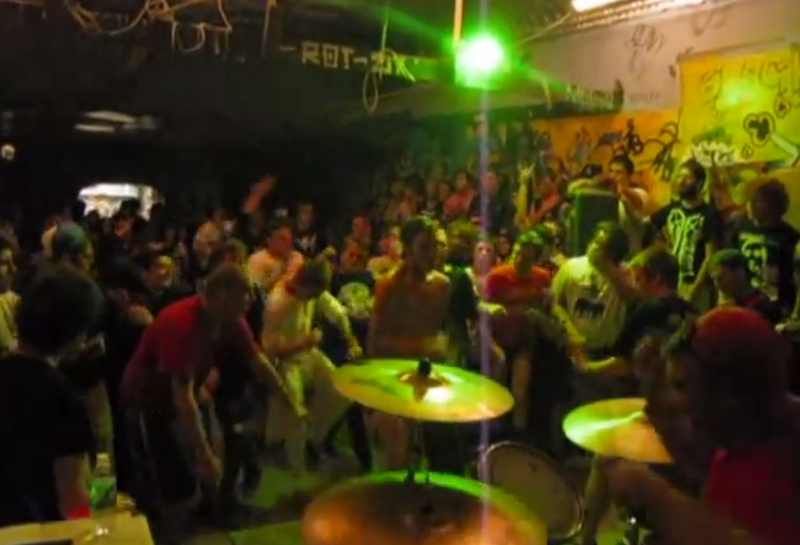 They become the first metalcore band that can draw 100+ people at shows. 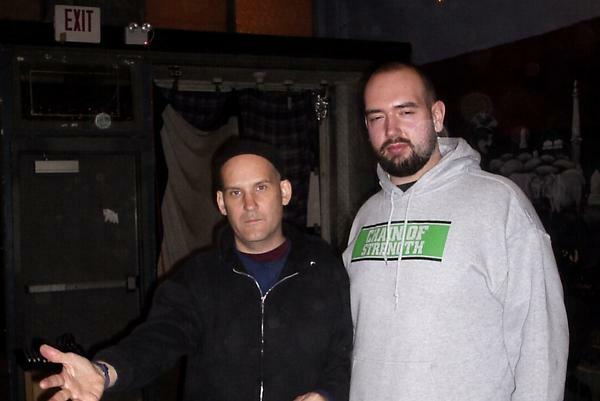 November 4, 2007 – Ian Mackaye comes to play at Black Sheep with his band The Evens and approves of the venue. 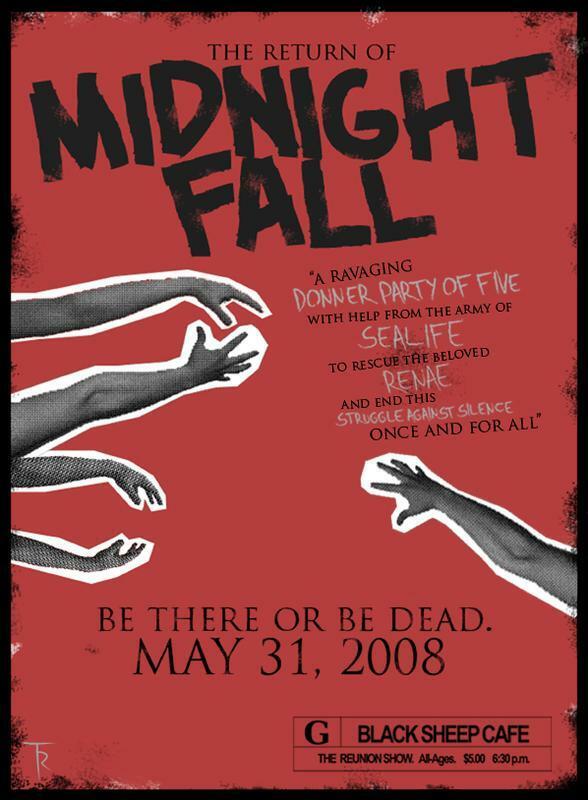 May 31st, 2008 – Midnight Fall plays a reunion show after breaking up in the fall of 2007 to the biggest crowd Black Sheep had seen by this point. Brandon Carnes of Midnight Fall went on after to play in Wise and Burn, and continued playing solo shows. 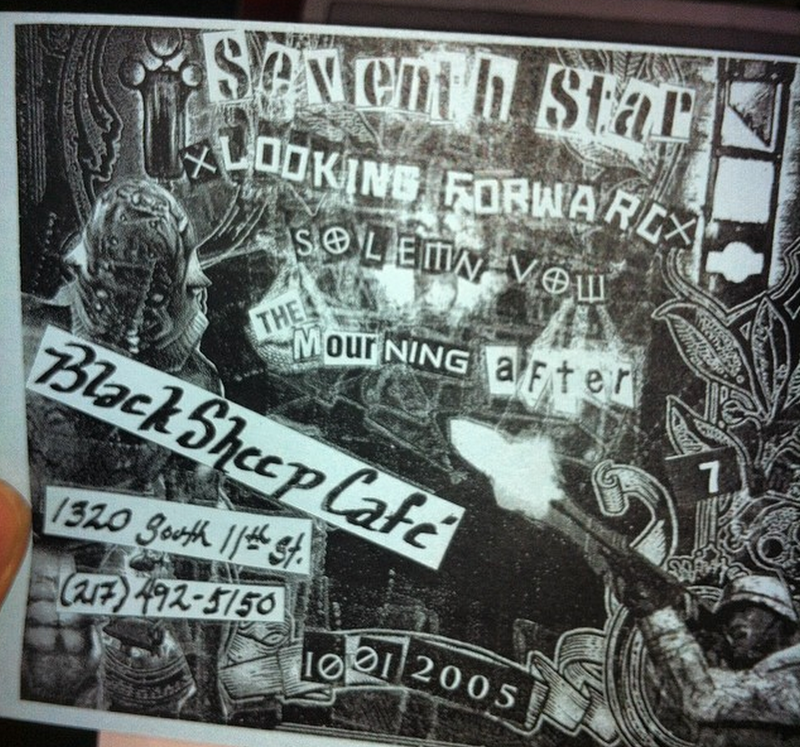 This was also one of the first Sealife shows at Black Sheep, a band that played an important role in launching the next generation indie scene at Black Sheep. 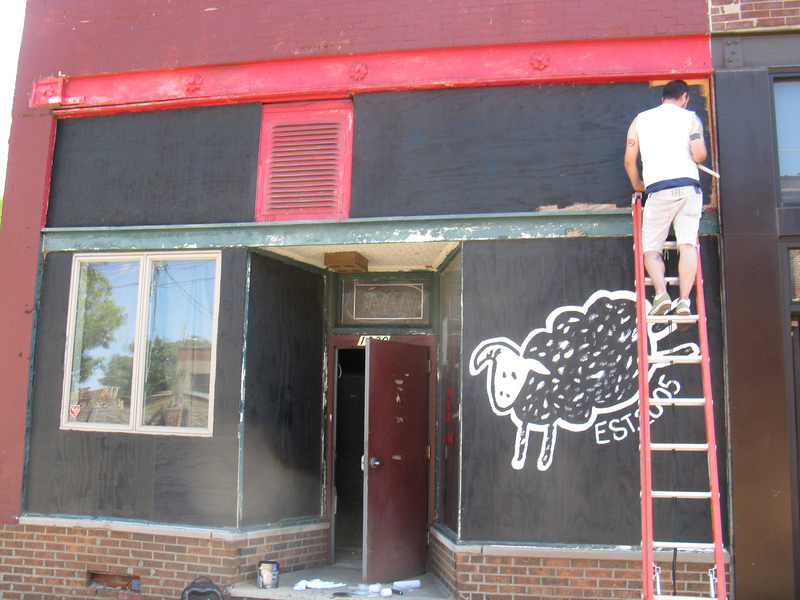 June, 2008 – Black Sheep gets a new piece on the front of the building (painted by Alex Nelson). 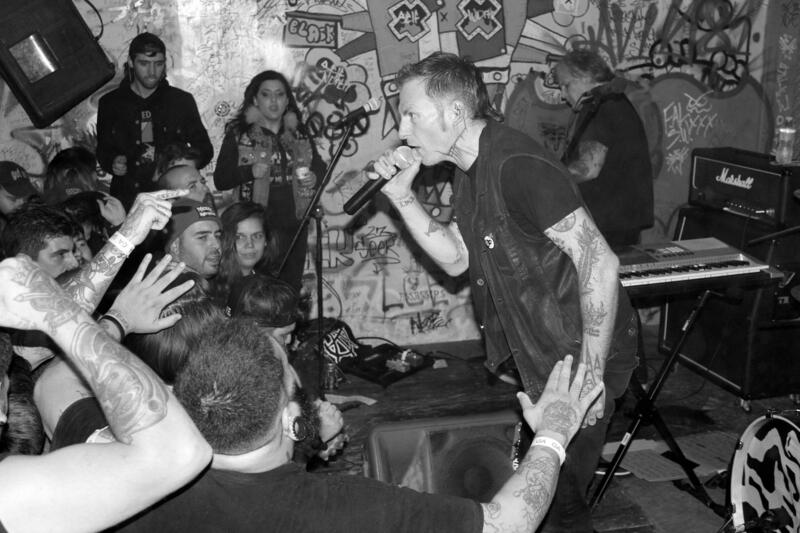 June, 2008 – The Casualties perform at Black Sheep with Time Again and The Revengers (Bastognes Best). They later come back in April 2009 and play with River City Rebels. July 25th, 26th, + 27th, 2008 – The first ever Black Sheep Fest is held over the course of three days. There are seven or eight bands on each day. 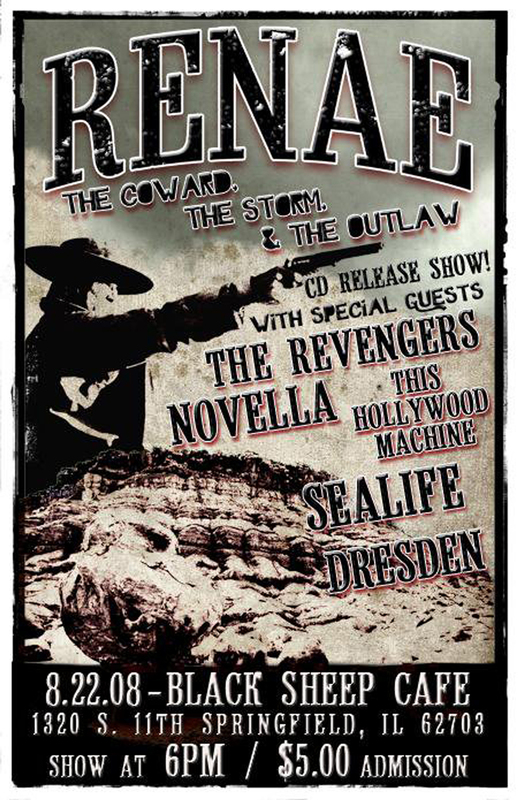 August 22, 2008 – Renae plays a release show for their hit EP “The Coward.” Many kids travel from all over the region, and started a lot of out of town kids regularly coming to Black Sheep. 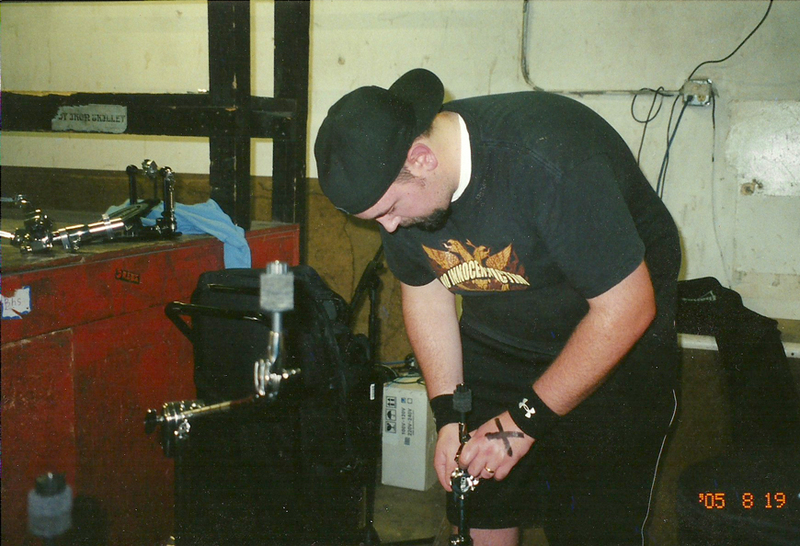 December 12th, 2008 – A benefit show is held for Jacob Cato (key player in the Central Illinois metal scene) who tragically died in a van accident. The metal scene rallied together and Becky Lenhart organized a show for the proceeds to go to the family of James. March, 2009 – The first ever stage is constructed by Andy Danes at Black Sheep. The stage’s height was slightly shorter than Black Sheep’s current stage. The stage lasted until around early 2010, when the legs were chopped off and a 6″ stage remained until the fall of 2012. Black Sheep’s floor carpet is also taken up around this time. 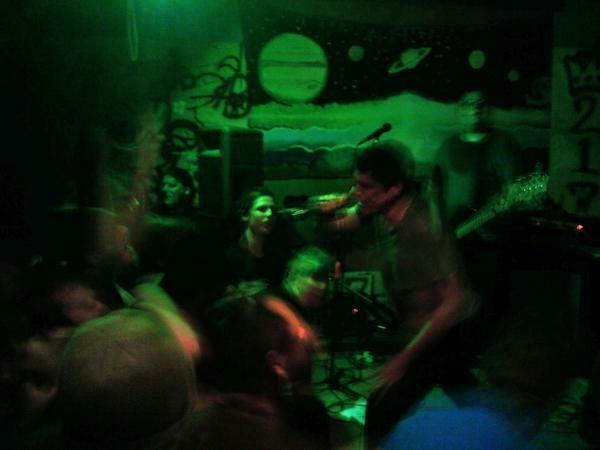 April, 2009 – Jesse Michaels of Operation Ivy performs at Black Sheep with his new band The Classics Of Love. The band tours with Mike Park of Asian Man Records. Jesse covers “The Crowd”- which Mike says is his first time covering an Operation Ivy song in over 20 years. 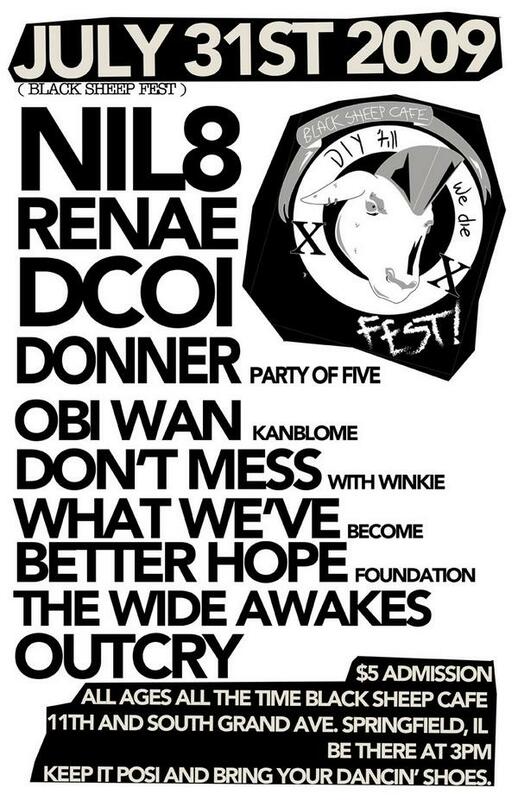 July 31st, 2009 – The second Black Sheep Fest is held with headliners Renae and NIL8 on just one day. This is the first time NIL8 plays at Black Sheep, and also their first time playing South Town since Skank Skates had shows. 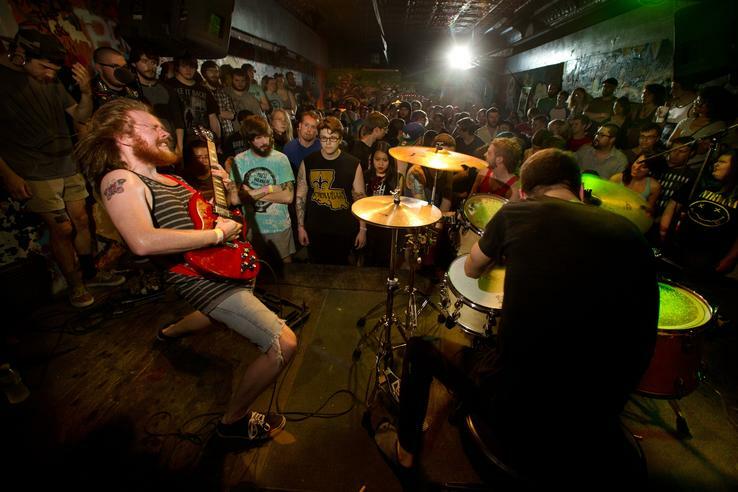 September 30th, 2009 – The Wonder Years perform at Black Sheep along with Energy and A Loss For Words. Renae and What We’ve Become also play the show. 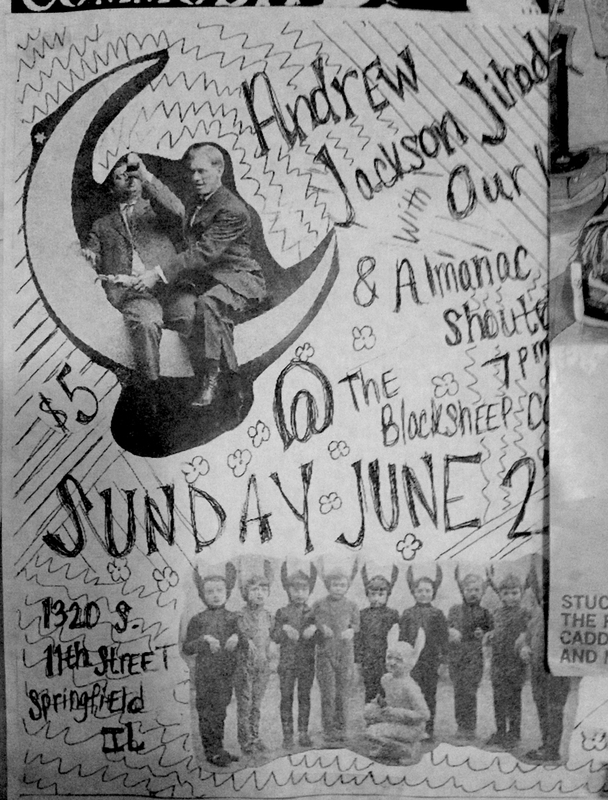 June 27th, 2010 – Andrew Jackson Jihad at Black Sheep with Almanac Shouters and a folk-punk acoustic Our Lady. A successful matinee show is also held at Black Sheep at 3:00 with Renae and A Call To Preserve and Nothing To Nothing. September 9th, 2010 – Commodity play one last final show at Black Sheep featuring Justin Sawyer and Brandon Rosa switching off on vocals. 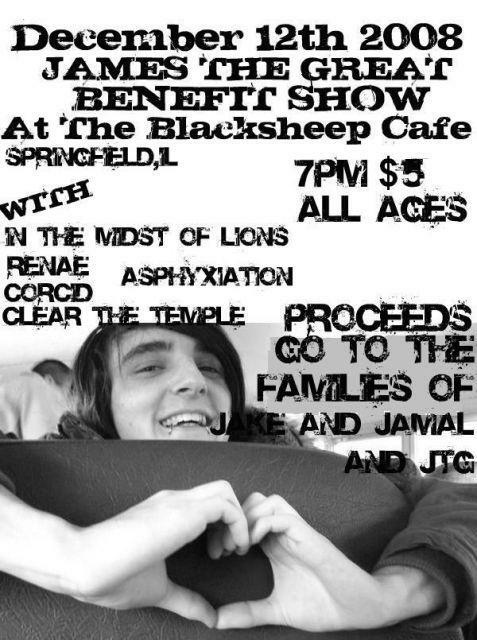 September 16th, 2011 – Renae plays a reunion show at Black Sheep close to one year after breaking up and it is arguably the most heavily attended show in Black Sheep history. PA speakers are re-assembled and situated onto beams over the stage, where they stay from then on. July, 2012 – Brian Galecki moves back to Springfield from Champaign, Illinois and begins planning for a new Black Sheep website, and starts organizing Black Sheep “roundtable meetings.” The first of these meetings result in brainstorms of new ideas of improvements that can be done to the venue including building a new stage and tearing down the drop ceiling. Cory and Brian also step up to help run a lot of inner-workings at Black Sheep. 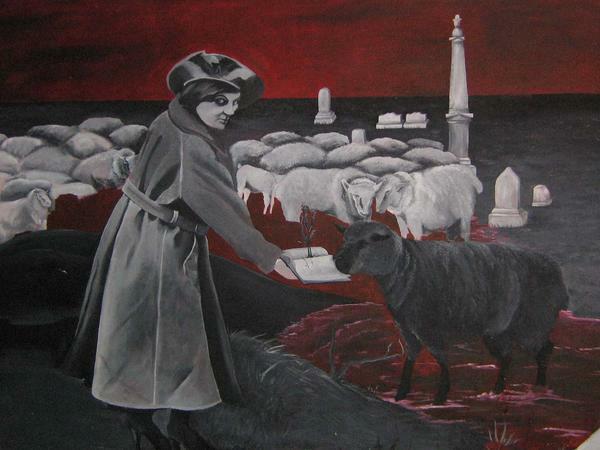 July 2012 – The current recognizable Minor Threat sheep is painted onto the front of Black Sheep by Brian Galecki and Benny Dewitt. Miles Fowler helps paint the top boards black in the following months. 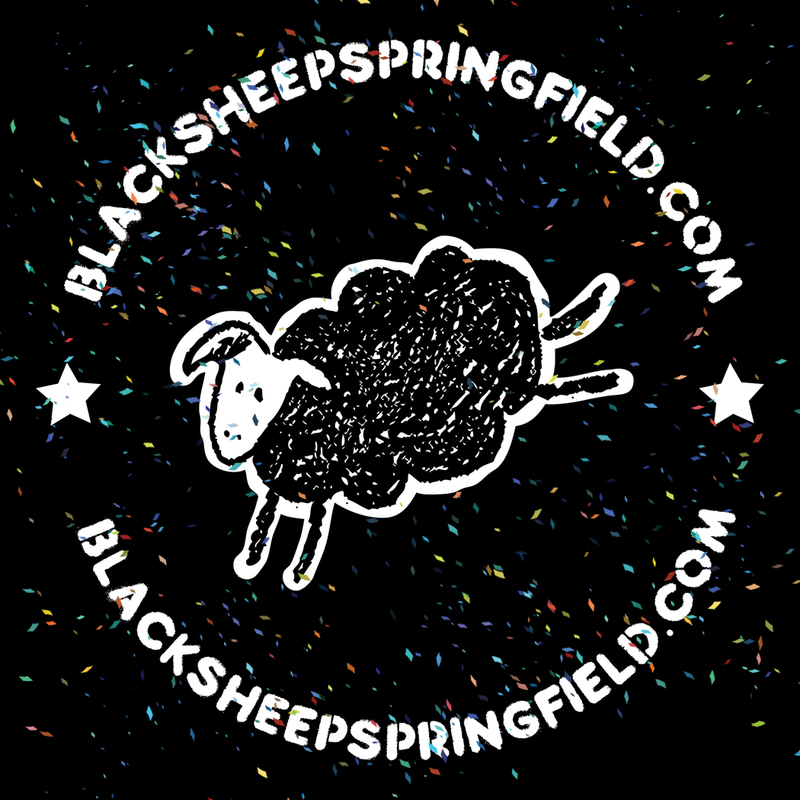 August 7th, 2012 – Blacksheepspringfield.com is launched as Black Sheep’s official website. The new site features organized show listings, news, band profiles for many Springfield bands, photos, and more. See our first two posts. 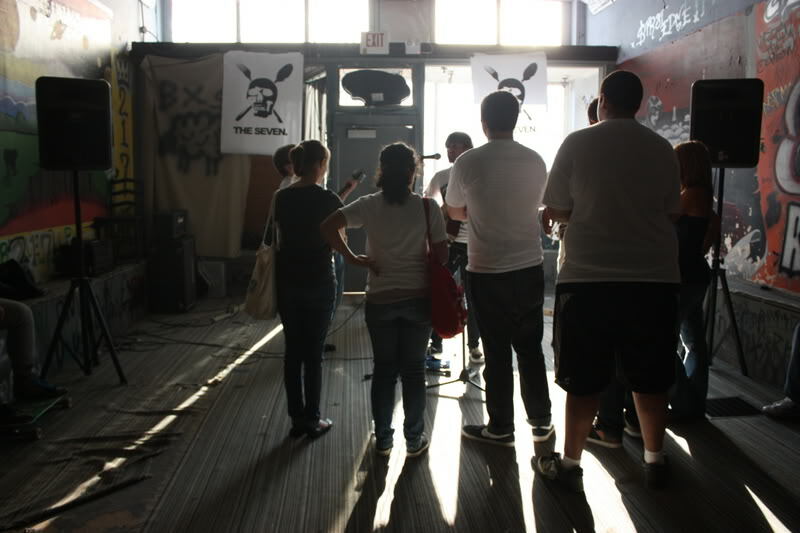 September 7th, 2012 – Black Sheep hosts its first show with a ceiling completely exposed after workers and volunteers spend weeks tearing down a drop ceiling and clearing out dirt and fiberglass. The next day we announce Revolution Autumn (an intentional re-launching of Black Sheep and the Springfield local music scene) and start collecting funds to build a new stage and improve our sound and lighting. Our goal is $200. 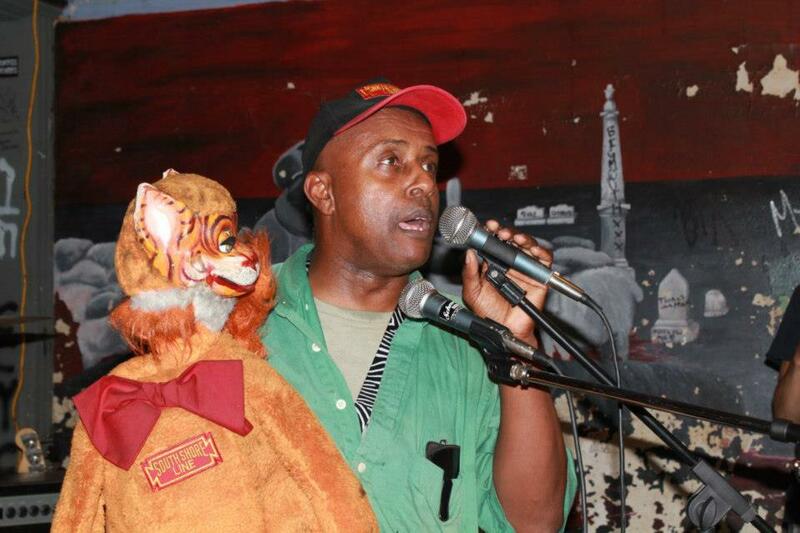 September 28th, 2012 – David Liebe Hart of Tim & Eric’s Awesome show comes and performs at Black Sheep with his punk band and also puts on a puppet show for one interesting night. October 19th, 2012 – Hobgob 2012 featuring NIL8, The Timmys, Tiger Tank, and Say Something is the first ever show for Black Sheep with a new and improved and very sturdy stage. The stage was constructed with the help of George, and a lot of improvements were also made to the side ledges inside of Black Sheep. Before this the stage was about 6 inches high. January 4th, 2013 – The Black Sheep Radio Show airs its very first episode on 88.3 WQNA fm featuring all local music and bands coming to town. The first few episodes were recorded with Robbie Kording and Greg Harvey hosting them, Brandon Carnes joined soon after. 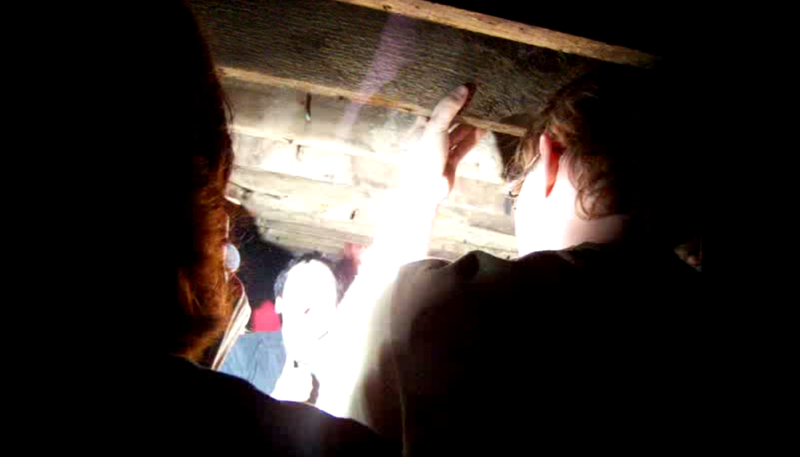 January 28, 2013 – The tradition of Record of the Night begins at Harm House down the road from Black Sheep. 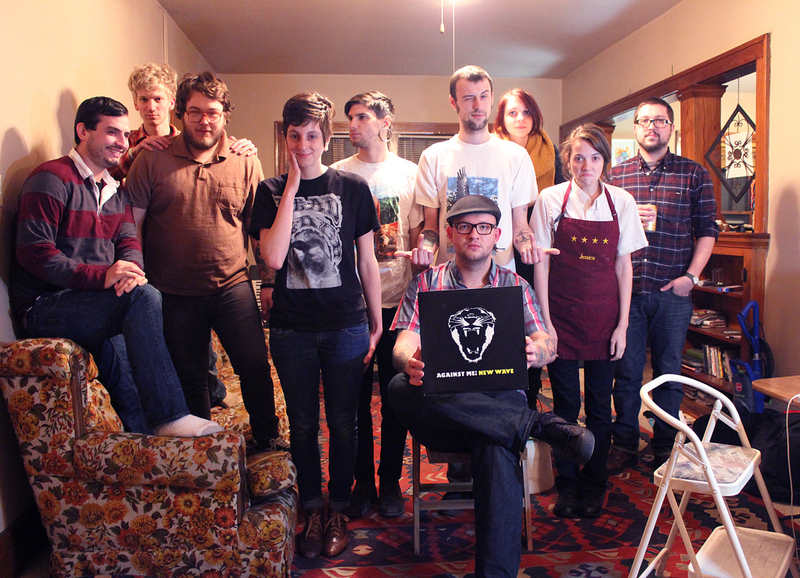 The blog picks up a lot of steam online and later relocates to having photos featured all around Southtown in the fall of 2014 once Dumb Records is up and running. June 14th + 15th, 2013 – The first Dumb Fest is held at Black Sheep and Skank Skates, with 25 bands playing the course of the two days including a big Renae Reunion. We estimate a total of 300 attendees for the weekend. 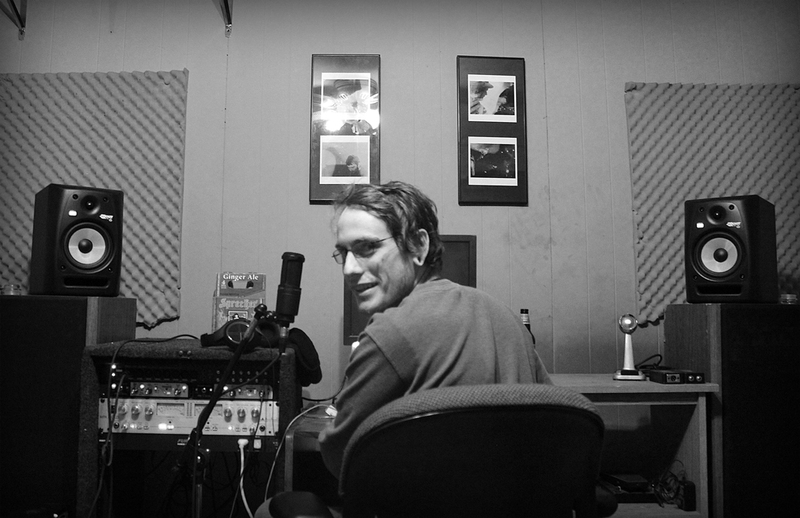 December, 2013 – Brandon Carnes opens up South Town Studio right behind Black Sheep and begins recording bands, hosting practices, and recording the weekly Black Sheep Radio Show. 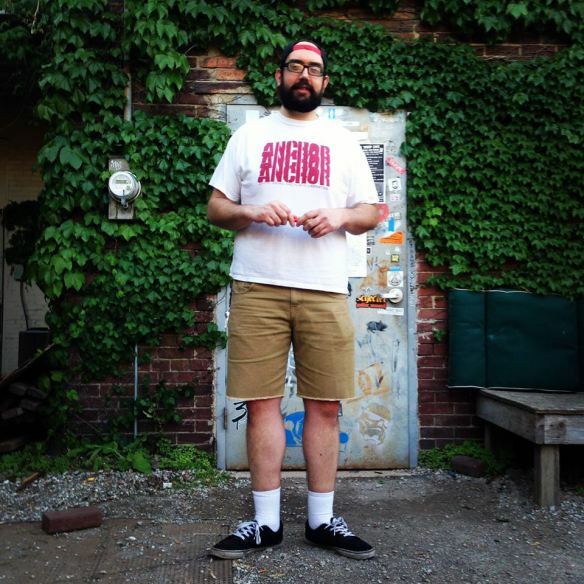 November 17th, 2013 – It is announced that Black Sheep and Error Records are working on bringing Dumb Records to South Town at the start of 2014. This is the biggest announcement made and highest viewed article on blacksheepspringfield.com thus far. 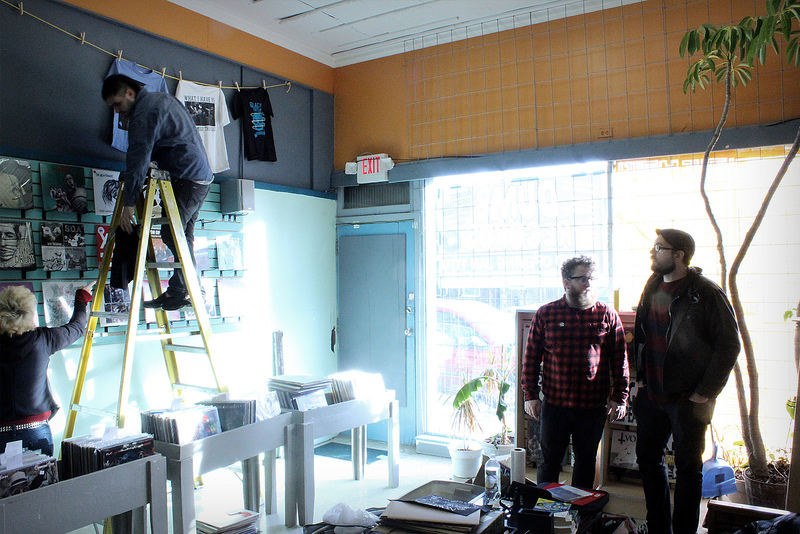 January 11th, 2014 – Dumb Records opened its doors for the first time for the first time ever. A big weekend celebration was had on Saturday along with an art show at Black Sheep. 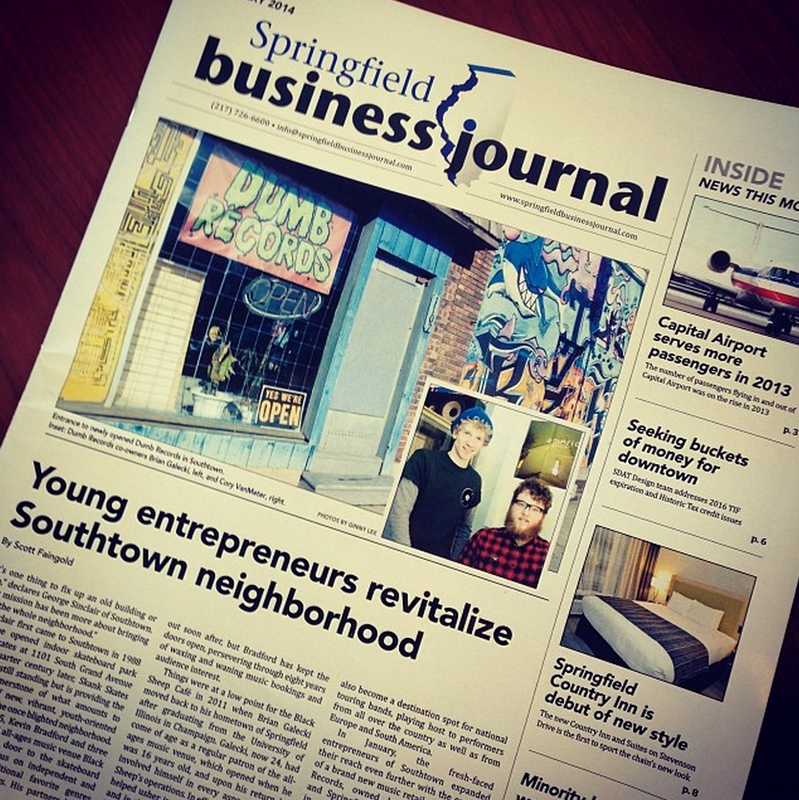 The Springfield Business Journal also interviewed Brian, Cory, Kevin, and Brandon and had a front page article on Dumb Records and South Town the following month. 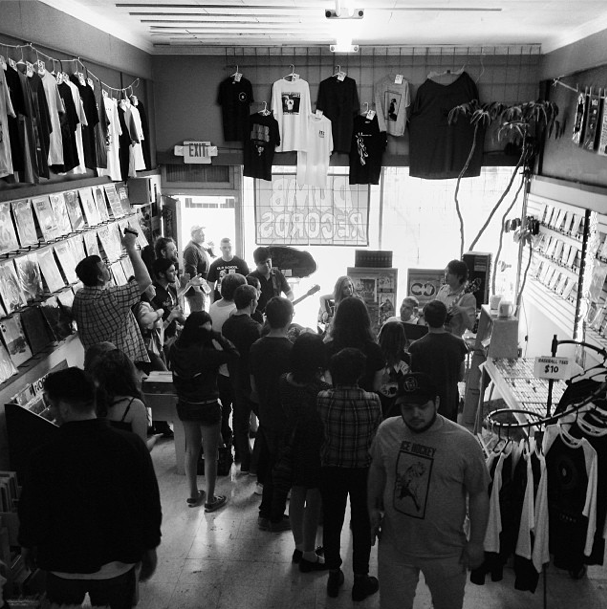 April 17th, 2014 – The first Record Store Day is held at Dumb Records and Empire Skate Shop also opens up right above Dumb Records. 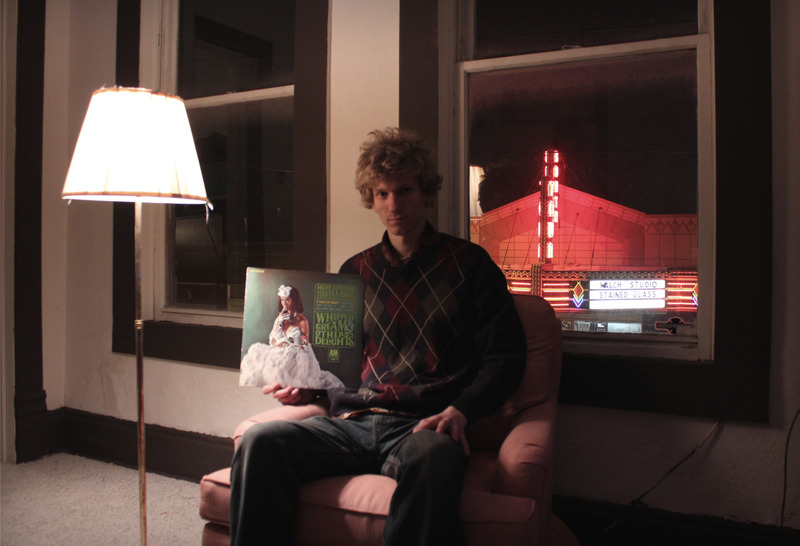 Bands play inside Dumb Records and Black Sheep including Spoonboy of Plan-It-X-Records. June 13th + 14th, 2014 – Dumb Fest 2 is held at Black Sheep, Dumb Records, South Town Studio, and Skank Skates. It is the most bands we have ever had play a festival in two days with 46 bands playing 6 different locations. August 16th, 2014 – The first ever Black Sheep Band Lotto Show is held. Twelve bands were drawn, and ten perform after two sets of bands combined. The show is a great success, with bands playing from 7:00 pm and ending with a secret set by “Teen Freak” in South Town Studio. 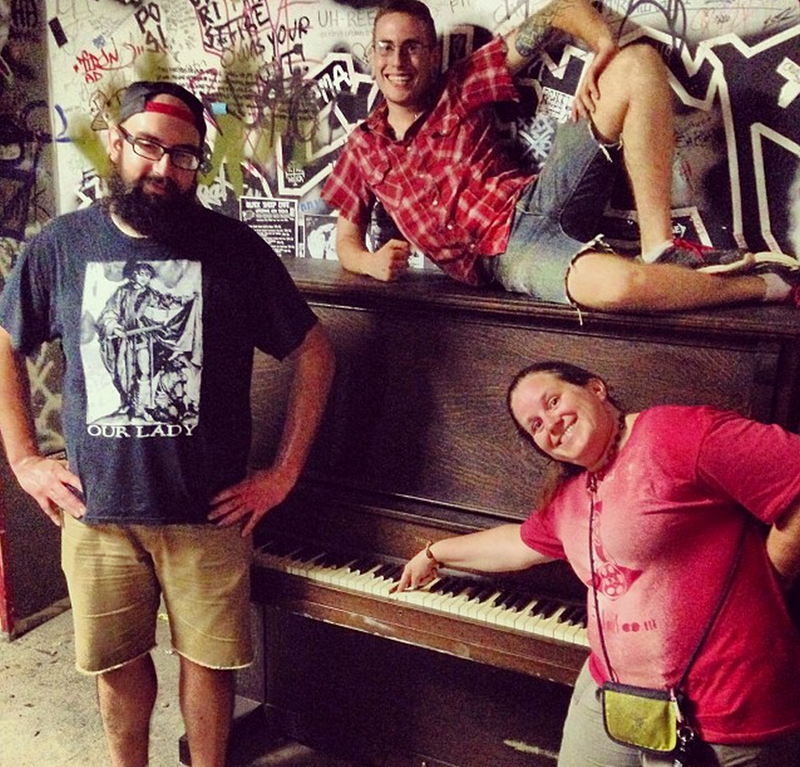 September 3rd, 2014 – Apryl Lowe donates an upright piano to Black Sheep to go in the back room. It takes six people and a Uhaul to move the piano from Apryl’s house to Black Sheep. Thank you Apryl! 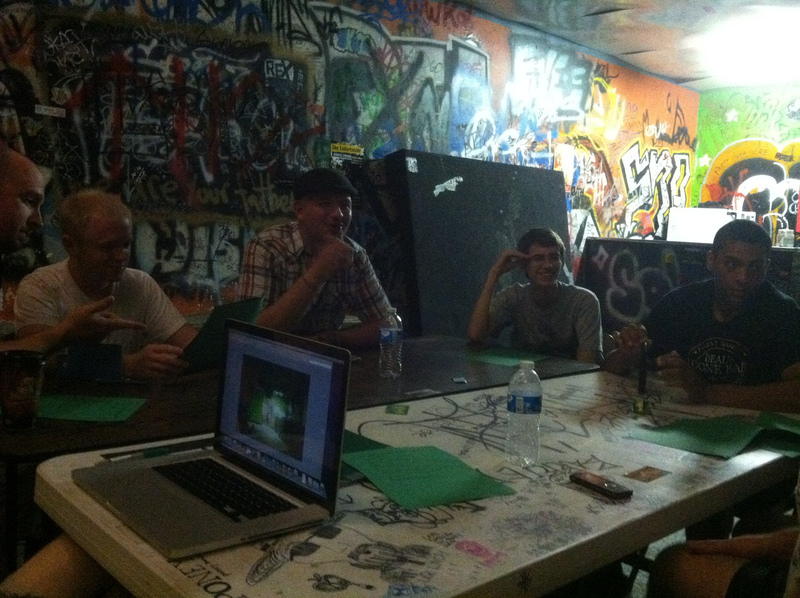 September 5th, 2014 – Lumpy & The Dumpers play a set featuring a pool of 150 pounds of green spaghetti (550 servings) in what is probably the messiest show in all of Black Sheep’s history. Workers and volunteers stay until 4:00 am to clean the floors, walls, and stage of spaghetti and cleanup continues for most of the weekend. 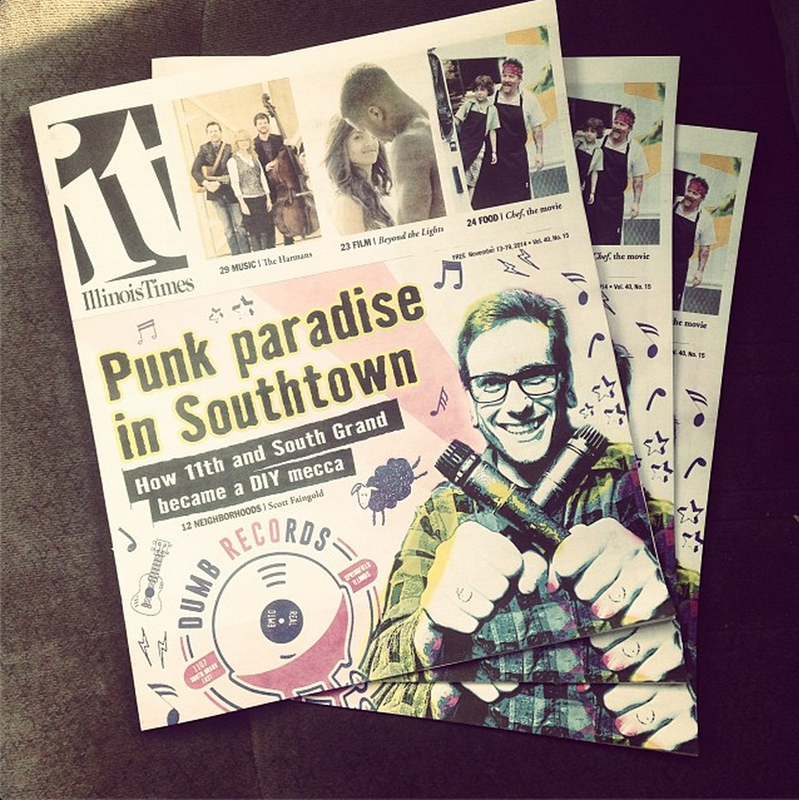 November 13th, 2014 – The Illinois Times publishes a big cover story on “Punk Paradise In Southtown.” They cover everything going on in Southtown and interview Brandon Carnes (Southtown Studio), Brian Galecki (Dumb Records), George Sinclair (Skank Skates), Collin Eigenmann (Boof City Skate Shop), and Mary Clays (Popeyes Barbeque). The first ever Southtown Record Fair is held two days after on November 15th. February 2015 – Brian Galecki and Brandon Carnes both move into Souttown within one month of each other. Brian Galecki above Dumb Records and Brandon Carnes into his recording studio/apartment. Drew Kodrich and Aubrey Puyear also move into the Southtown house next to Black Sheep soon after. All of this shows a shift in more Black Sheep volunteers moving into and around the neighborhood. March 2015 – Kevin announces that he will be stepping down as owner of The Black Sheep at the beginning of May of 2015. New owners on paper are now Brian Galecki, Miles Fowler, and Brandon Carnes. 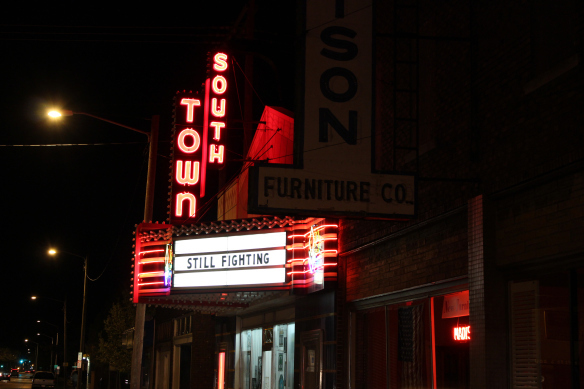 April 26, 2015 – a Kickstarter campaign is launched for “Project Southtown” – a new organization being formed by businesses of Southtown to focus on becoming a non-for-profit and receiving grant funding for neighborhood revitalization. The campaign is successful in raising $7,100 after 60 days of a $5,000 goal. 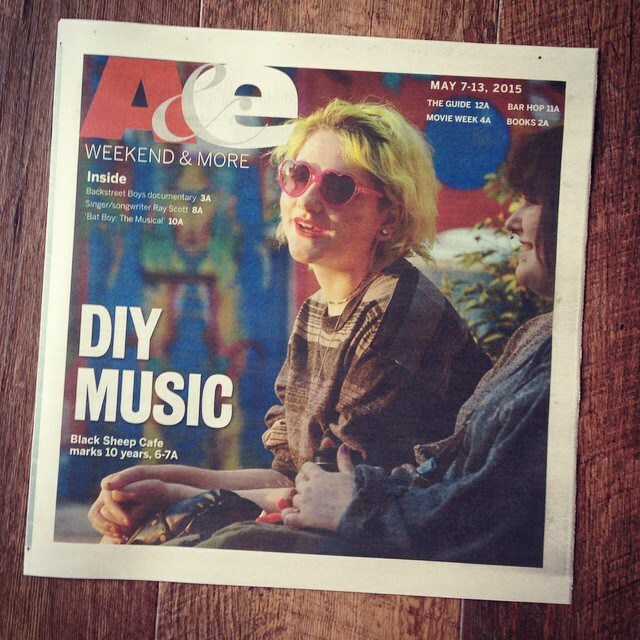 May 7, 2015 – Black Sheep is the cover story for the A&E section of the SJ-R in an article focusing on the venue hitting ten years, the change in ownership, and also the current Kickstarter campaign for Project Southtown. 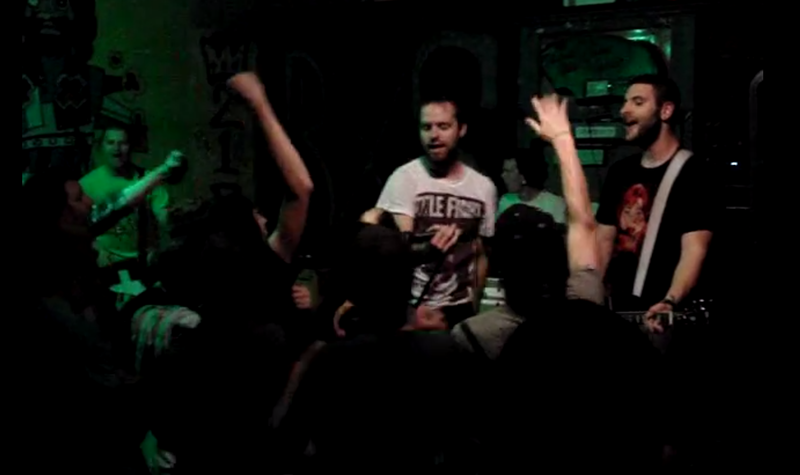 August 14, 2015 – Looming hold their album release show for “Nailbiter” – after signing to No Sleep Records. 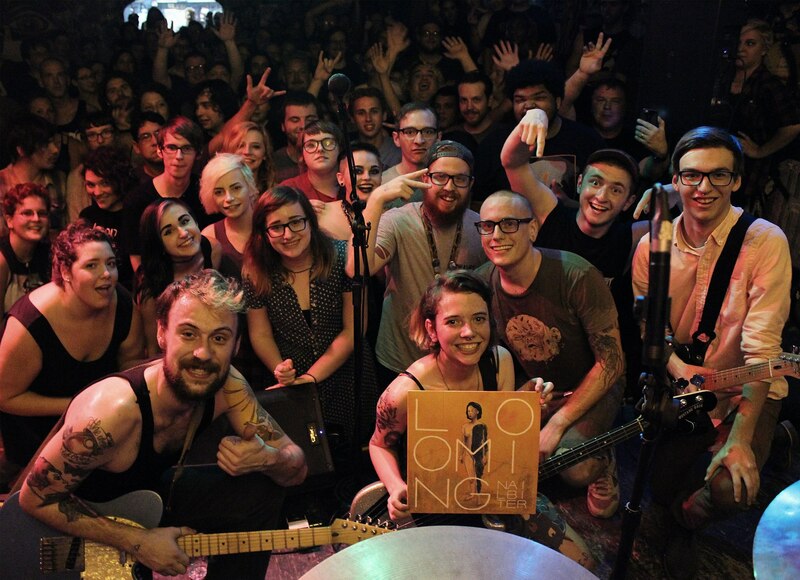 There are 200+ people at the show- the most people at a non-fest show since Renae’s first reunion. Park also play at Black Sheep for the first time since 2007. 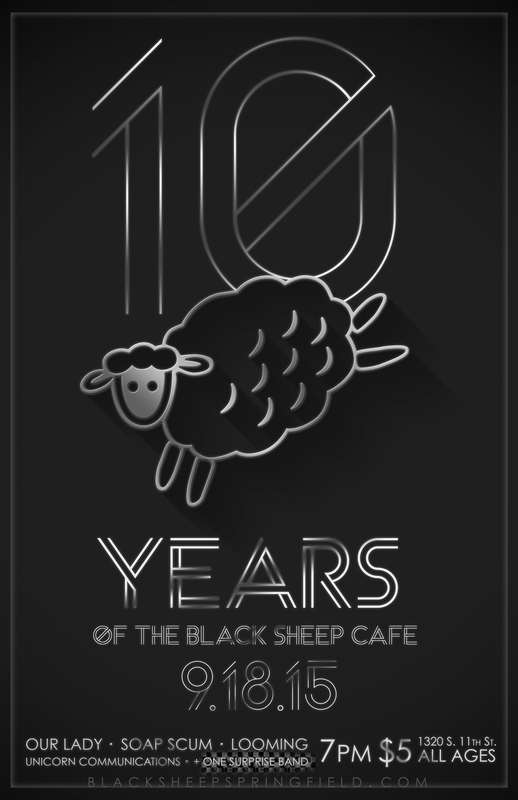 September 18, 2015 – Black Sheep hits the 10 year mark as an all ages venue in Springfield. WUIS puts together a 20 minute audio-documentary highlighting the venue, and everyone shares countless stories of first and favorite Black Sheep shows in the days leading up to the anniversary. The surprise band on the show is a tribute band put together by members of past Black Sheep bands Bastognes Best, Don’t Mess With Winkie, Donner Party of Five, HK47, Bad Banshee, and more. 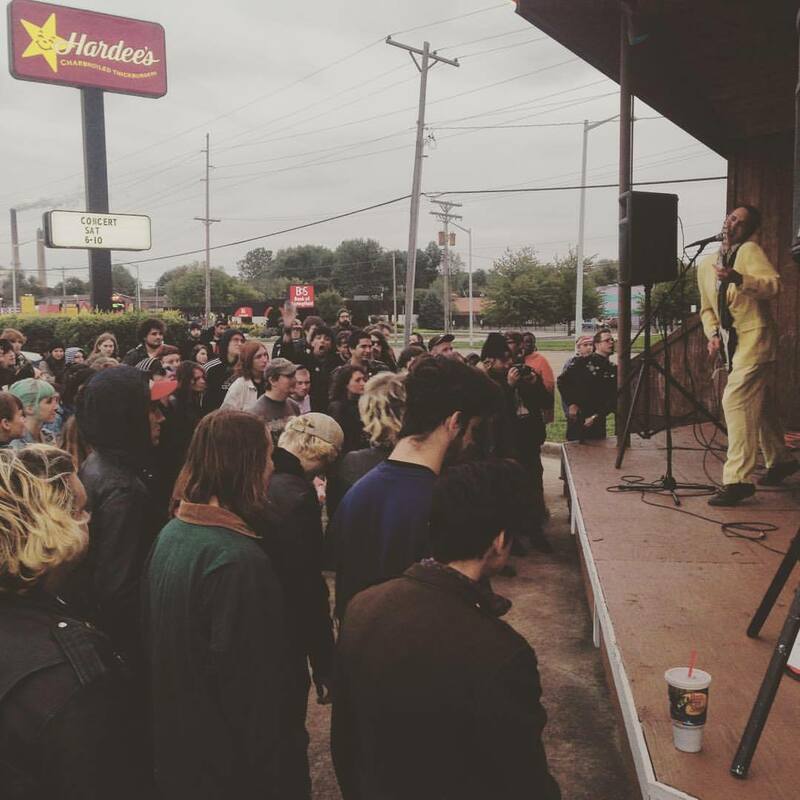 October 3rd, 2015 -Not a Black Sheep show but what can be seen as a pretty big accomplishment for the Springfield punk scene: after a year of talk and preparation, a punk show is put on at Rock N’ Roll Hardee’s with The Coneheads, King Worm, Wolf Luv, and Cal & “The Cruisers.” There is estimated as much as 300 people there including some that drove as far as Texas, and a handful of confused townies. October 24th, 2015 – Hobgob 2015 ends up being the most attended Black Sheep show ever recorded, even including festivals. Leftover Crack plays an intense set including a few Choking Victim covers and the crowd gets a little rowdy after George makes an appearance as a bumble bee on the stage to try and prevent stage diving. December, 2015: Not in Southtown, but The Studio show debuts in their old building down the road from us on South Grand Ave. The show brings a lot to the table highlighting Springfield area musicians and artists and features Jeff Williams (NIL8) and Clare Frachey (SAP) as the first guest artists. January, 2016 – Somewhere around here Brandon Carnes returns from a nearly month-long tour with Looming and announces plans to move to Pittsburg. Jess Knight also makes plans to move to Austin, Texas. Miles Fowler also steps down as co-owner of Black Sheep. This leaves a new wave of four owners stepping up in the new year which include Clare Frachey, Brian Galecki, B.J. Pearce, and Drew Kodrich. March 24th, 2016 – Larry Livermore of Lookout Records makes a visit to Dumb Records as a part of his book tour for his book “How To Ru(i)n A Record Label.” He talks a lot about his involvement with 924 Gilman Street in the 80’s and asks us questions on how we run our spaces. April 8th, 2016: Brandon Carnes is completely gone and moved to Pittsburgh and records his last ever episode of The Black Sheep Radio Show for April 1st. The show switches over to a live setting recorded at the Capital Area Career Center and Brian Galecki + Mike Tirehaus + Nick Demarco take over as hosts for the time being. May 25th, 2016: Dumb Fest 4-Ever approaches as The Black Sheep’s most ambitious festival ever booked with 50 bands from 16 different states over the course of 3 whole days and 6 different venues. In the days leading up to the festival Brian Galecki lands in the hospital after a freak collapsed left lung strikes in his sleep. After undergoing surgery Brian is stuck in the hospital for much longer than expected – a whole two weeks. This forces others to step up with planning and running the festival, and a couple of Dumb Fest planning meetings are even held inside the hospital room. Brian is released from the hospital just two days before the fest with a tube coming out of his chest dripping out lung juice, and Dumb Fest 4-Ever is by far the best Dumb Fest to date. September 21st, 2016: Dumb Records lives up to their name and purchase a literal elephant to go in the open lot next door. November 26th, 2016: The Dumb Records giant elephant is painted green and is featured in the downtown Springfield Christmas parade. Nighthawk can be seen inside the elephant playing “Silent Night” on guitar. March 8th, 2017: A newly formed studio – “Southtown Sound” opens up in the space that once was Southtown Recording and record Looming as a first live video session. 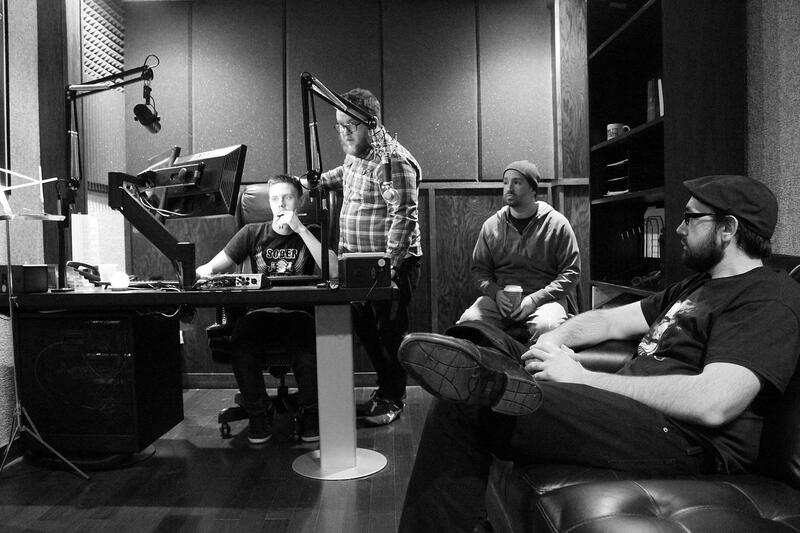 The new studio is lead by a team of Kyle Noonan, Mario Cannamela, and BJ Pearce and construction went on for months starting in December of 2016. The new studio also leads a successful kickstarter campaign to help fund costs for renovation and new equipment. June 9th, 10th, & 11th 2017: Dumb Fe5t is held featuring 55 bands from 17 different states, breaking our record of bands once again and the most attendees for the main day of the fest. The fest also branches out in working with Cafe Andiamo, Bar None, and Downtown Springfield Inc.
July 1st, 2017: Original Springfield punk / new wave band FOOD & MONEY reunite on the Black Sheep stage for the first time since 1982 and release a new LP of some unreleased material. BACKWARDS DAY also reunites for the first time since 1994. August 18th, 2017 – Legendary St. Louis Ska Band MU330 performs in Springfield for the first time in close to 20 years with NIL8 and The Timmys. Also the day before they release their first new song in 13 years. September 3, 2017: Sunday paper headlines read “All-ages Music Club Facing A Dark Time”, after we make an up front and honest facebook announcement that Black Sheep is very much struggling in terms of finances and show attendance. We are not sure how much longer doors will be able to remain open, and at this point time will tell. 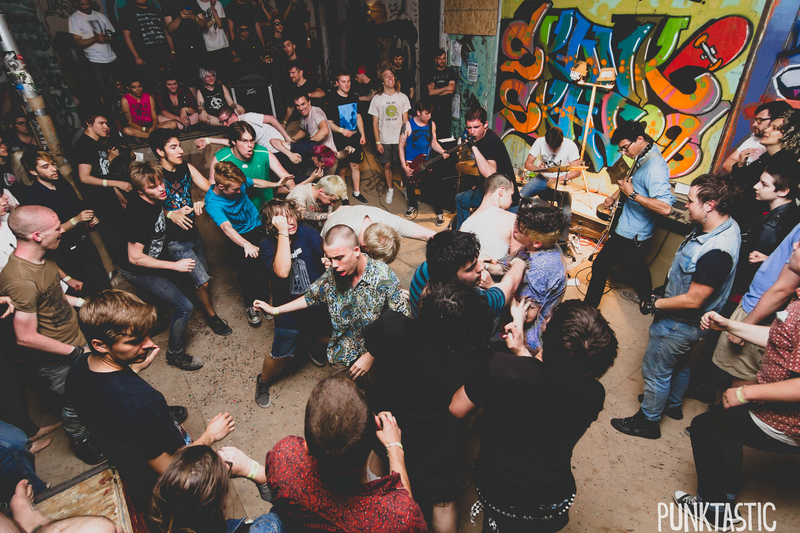 November, 2017: A photo of the band Bad Example (from Birmingham, Alabama) inside of Skank Skates during Dumb Fe5t is shown on the cover of Maximum Rocknroll magazine (taken by Veronica Mullen). Skanks also celebrates 30 years since first opening in December of 1987. May 19th, 2018: George Sinclair, our landlord of 13 years decides to start presenting us with ultimatums because he has not been happy with our refusal to cooperate constantly fundraising money to pay the property taxes on his building (on top of us giving him rent for three spaces every month as it is). George continues to refuse to sign any sort of lease with us renting our spaces from him that would protect us from him demanding amounts of money and leaving notes on our doors like this one. From here things continue to spiral out of control with George, at one point he presents us with the ultimatum of either getting out or accepting a new owner come in and manage all of Black Sheep and Dumb Records. At one point we are certain that we won’t be able to continue past June, but once we make it past that point we agree that it is best if we start keeping an eye out for available spaces in Springfield for us to move on to. Later on we also raise $2,300 to go towards fixing an expensive heat pump inside the Black Sheep building, and George throws a tantrum because his name was not on the fundraiser for the heat pump. He then tells us that we need to raise $18,000 to pay to get our leaking roof replaced (on his building), and it’s at that point we are certain we can sadly no longer continue in our home of 13+ years. September 10th, 2018: A stray cat who’s been hanging around outside for a few weeks wanders into Black Sheep right before a show. We take him into Dumb Records and “Pepperoni Pizza” becomes our shop cat (that we have to hide from George who doesn’t allow cats). September 16th, 2018: Brian Galecki stumbles across spaces 416 and 418 E Monroe while walking around downtown late one night and tosses around the idea of a future venue and store existing there. This photo taken that night from the outside. September 24th, 2018: This very ridiculous article made an appearance in the SJ-R after Evan Mitchell created his own Dumb Records video advertisement featuring our mayor and Nighthawk. October 18th, 2018: Springfield Mayor Jim Langfelder makes a surprise visit to Dumb Records in an interesting turn of events following a newspaper article in the SJ-R about a goofy facebook video that surfaced that we made of a fake Jim Langfelder talking to Nighthawk. Jim came out to The Black Sheep Radio Show the following day with some of his own record collection, and then the show at Black Sheep the day after that! October 20th, 2018: Legendary garage rock band founded in 1965 “The Shadows of Knight” perform at Black Sheep. The band was known for their rendition of the song “Gloria” making it on to Rolling Stone’s 500 Rock’n’Roll Songs of All Time. October 31st, 2018: MTV’s very own Chili Bowl Mullet Man comes out to Black Sheep and Dumb Records for the first time for our Halloween show. We give him a record player. November 22nd, 2018: On Thanksgiving Day of 2018 we announce that after over 13 years we will be packing up everything at the end of the year and re-locating Black Sheep and Dumb Records to a new downtown location. The SJ-R publishes an article immediately the next day. We announce that our final shows at Black Sheep will be taking place throughout December. November 30th, 2018: Behind the scenes, on this date an official lease was signed with Joe Gallina as owner to lease out 416 and 418 E Monroe Street downtown and we are given the keys to our new home. This giant face mysteriously appears in the window on December 11th without any explanation. December 2018: With one month left and a full month’s calendar of final shows, George covers up our signs with giant “FOR RENT” signs. The front gate next to Black Sheep also remains padlocked shut for our final shows. 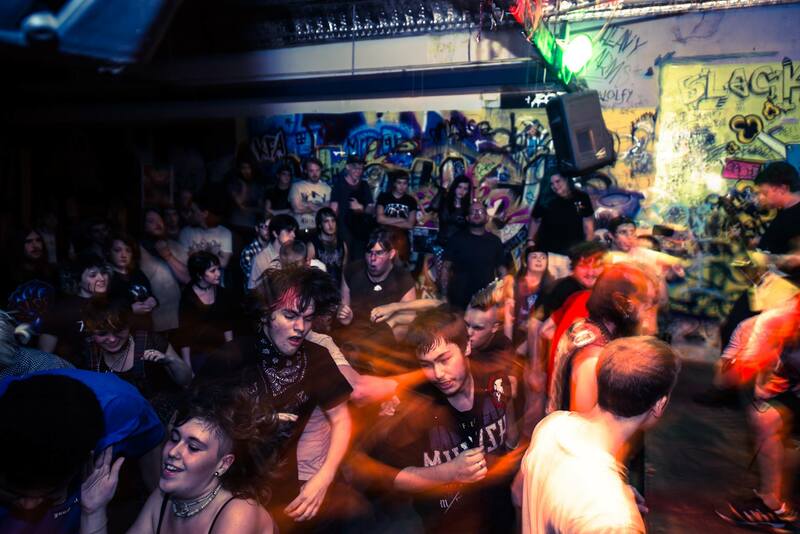 December 15th, 2018: A number of huge final shows are held at Black Sheep with bands from all different eras and locations coming including PARK (pictured), Earth Witch, Falter, NIL8, BIB, also Livin’ Thing and Pryss play one final show together. December 16th, 2018: A team embarks on an expedition up north to acquire ten thousand CDs (mostly sealed) to go to the new Dumb Records downtown. This day is also the final day Dumb Records is open at its old location. December 28th, 2018: The final Black Sheep show is held. The lineup includes Soap Scum, Looming, Rockford, and Hannah Songer. The days leading up Black Sheep posts shows from all over the years on facebook and instagram. Kevin and Brian give a final “Black Sheep” radio show talking about all of the important bands and shows throughout. Cleanup and tear down begins immediately after the show is over. December 29th, 2018: We spend a full day from 8:00 am – 11:00 pm clearing out both of our spaces with plenty of trucks, vans, and a U-haul and call the job done at the end of the night. This is the last photo we took inside Black Sheep that night. December 31st, 2018: At the last day of the year we decide to unveil a brand new logo for the new Dumb Records and set up a pop-up shop for those who want a sneak peek at our new location. We have a lot of work on the new space to do and also need to replace a few doors and do a few other things to get approved by the city zoning and fire department to host shows. January 1st, 2019: Construction on the new space begins the very first day of 2019. January 8th, 2019: We had managed to bring a large piece of our Black Sheep history to the new location with us in the form of our former sound booth / bar. George comes into our new location while we are working and calls the police on us for taking the bar. We settle matters with the police and keep the bar. (We had left shelves that we had built ourselves at former Dumb Records location so that George could start his own record store. It seemed fair to the police that we keep the bar, and George keeps the shelves (duh)). January 10th, 2019: Marking exactly five years to the date of our soft opening at our original location on January 10th, 2014, we decide to open our doors for just one hour (5-6pm) with a few tables full of records. We keep the store open for one hour every day the following week and just add an hour of being open every week. Accurate and well done. I wish I had one of these for the history of Skank Skates International!